As with all products, there is a choice of shapes for charms – circle, oval, heart a (symmetrical), heart b (asymmetrical), square, diamond, rectangle, tear drop, dog tag and flower. 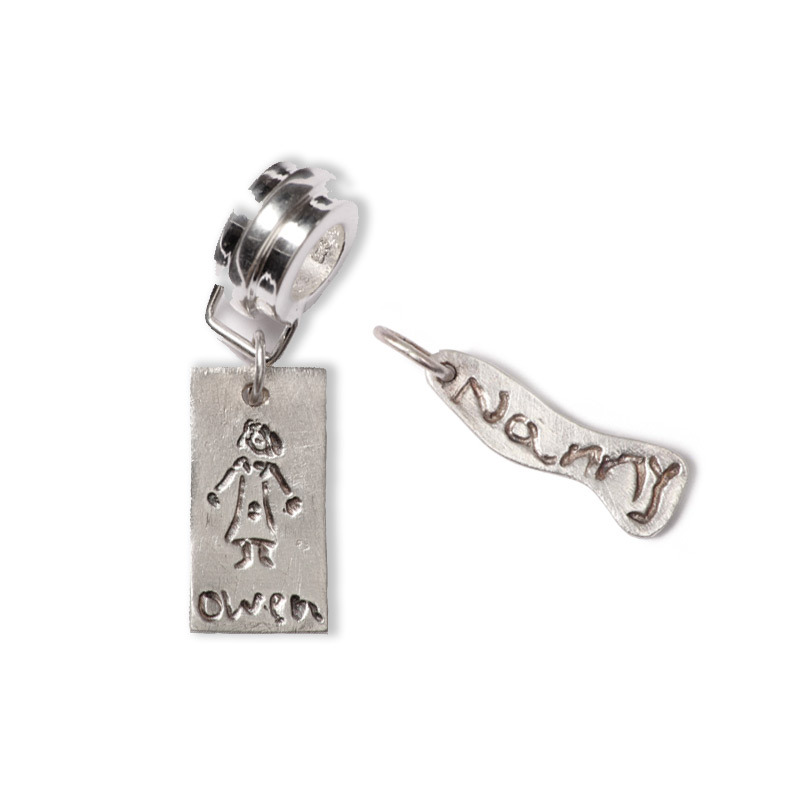 Charms can be purchased separately to add to an existing piece of jewellery or to add to your jewellery as your family grows. All charms are supplied with a 5mm open jump ring so that you can add it to your own jewellery. However, because you are fitting it yourself and it is not soldered we do not guarantee its long term security – if you wish this to be soldered onto your own bracelet there is an additional £5 charge for each soldered item - please bring your jewellery to your appointment or post to us using the insured Royal Mail Special Delivery if ordering online (this usually costs £6-8). Larger (8mm) jump rings to attach your charm to Troll Bead or Pandora style bracelets are available too at an additional £5, soldered to a Pandora Style Beads (compatable with all braclelets of this style £15), and charms with a soldered lobster claw attached, enabling you to clip your charm on to a chain or Thomas Sobo style bracelet, is £8. You can select these jump ring choices in the ‘Extras’ drop down menu. Please note small charms are not available with hands/feet/paws/drawing or writing. Standard charms have the option of 'Hand/Foot/Paw/Drawing/Writing Only', 'Hand/Foot/Paw/Drawing/Writing and X' and 'Hand/Foot/Paw/Drawing/Writing and Name'. Please enter name to be inscribed in the inscription box – up to 10 characters so you can have just a name if choosing a long name ‘Charlotte’ or for shorter/abbreviated names you can add a space and a kiss ‘Lottie X’. 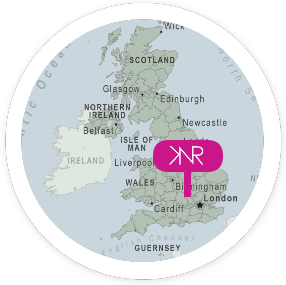 Please send your drawing or writing by email to kirstie@knrjewellery.co.uk.